We’re back in Prague! 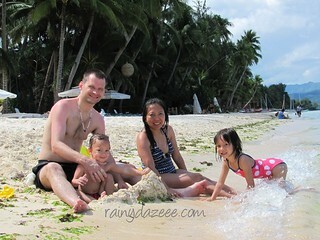 It’s been five days since we returned from our vacation in the Philippines. 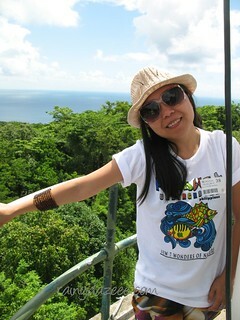 It was a short three-week visit, the shortest of all the vacations I had there; I usually stay there for three months. It was short but well-spent. We got to see beautiful places, none of us got sick, and all the planning I did went smoothly except for some minor glitches that turned to our advantage. 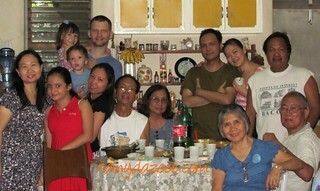 Mother’s Day was spent in my uncle’s place in Silay where they prepared lots of yummy Negrense food! 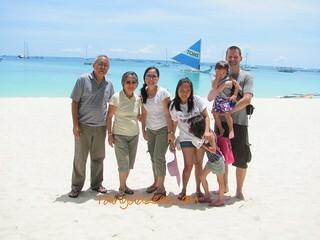 I had my birthday in Boracay with the whole gang (Dad, Mom and my sister included); my pretty niece flew in from Cebu and we were able to visit the local scenic spots in Negros. 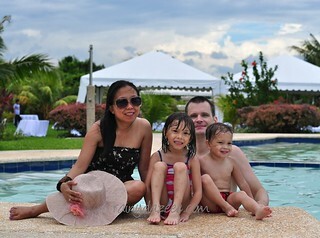 Then M and I had our three days Palawan escapade without the kids; gazillion thanks to my sister Carey for taking care of the kids while we were away! 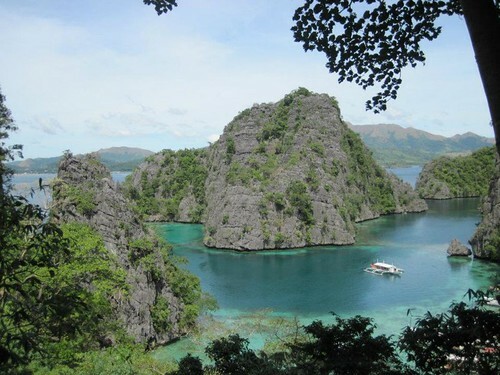 We went to see the Underground River, which was recently named as one of the new 7 wonders of the world; we even managed to do the Honda Bay island hopping before we flew to Manila. 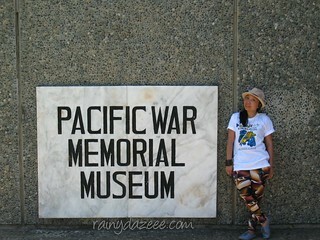 We also toured Corregidor Island for a day. Afternoon feast @ my uncle’s place on Mother’s Day. 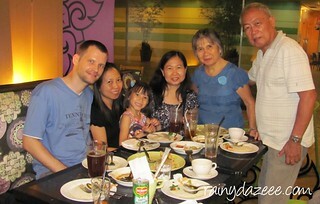 Mother’s Day dinner @ a thai resto. 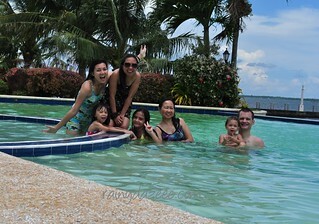 @ Pacific Shores, Talisay City, Negros Occidental. 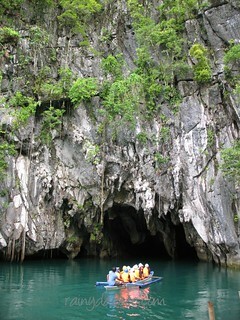 Going inside the Underground River in Palawan. 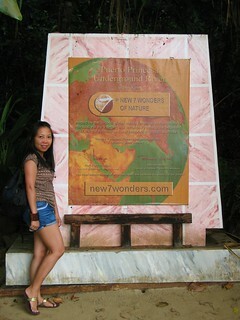 @ the Underground River, Palawan. All in all, it was really a fun time spent with my loved ones, and I‘m sure my family was glad to have us around and have enjoyed the company of the two adorable kids. M also had a lovely time seeing Philippines’ beauty; he got to eat to his heart’s content all the delicious seafood, mangoes, coconuts, etc. which he was prohibited to eat the last time we were there because he developed some skin disease after their Mt. Apo climb. It was a well-deserved treat for him! Most importantly, I am fortunate that my parents are still around and are still very much healthy; they’re the reason why I make sure we go home as often as we can despite the travel/vacation expenses. 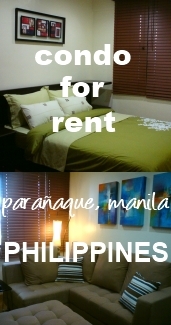 With the four of us, travelling can really be costly. The kids’ fare cost about 75% that of the adult. Whew! We could have used the money to invest in some income-generating project or buy gold coins, but nothing is more important than being with the people we love! I still haven’t rested well from our looong and tiring trip from Prague to Negros but we had to go to the city earlier today to buy some essentials for the kids, like milk, diapers, etc. and also to eat what Bacolod City is best known for, its chicken inasal. On the drive from our small city to Bacolod, I couldn’t help but notice all the many developments that took place less than 2 years I was away. There was the new flyover in front of the Pepsi Cola Bottlers plant, and the terminal for jeepneys and buses, the Ayala mall thats underconstruction, lots of building establishments sprouting everywhere, and the traffic that’s getting worse as the place is progressing. My once silent hometown is slowly becoming like the busy Cebu. Residential buildings can’t be outdone too, as the subdivisions are slowly filling in with new houses. There are also plenty of affordable housing units available like the Wilmington nc homes for sale Whew! I felt like being away for decades with all the changes I see. The next time I come back, the Ayala Mall that’s being constructed will probably be finished and operational then. That’s good news coz we don’t have to go far for shopping as its location is just a few meters from where we live. 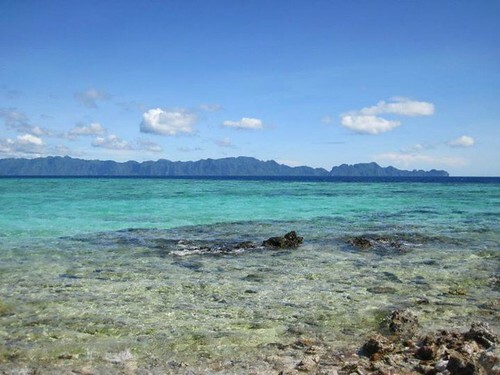 If I’m dreaming of the pristine beauty of Palawan and the blue sea, it’s all because of my friend FK who recently posted their vacation pics in P.I. in her Facebook. It makes me want to jump right into the water!!! Awesome, right? I told you so, you can’t blame me for daydreaming especially on this chilly winter. My friend uploaded hundreds of enticing pics there, all seem to be magnetizing me to that paradise. And guess what? Somebody up there is trying to weave this dream into what could probably be a reality coz I found a nice package deal for a 3D/2N trip to Coron. Oohhhlala! WHooppsss! Got one problem though, Coron is in Philippines and I’m here in Prague! First, I will need wings or pixie dust to fly there, then I’d slump a backpack on my back and off I go. Do you want to come with me? Dreaming is free for all! It’s difficult to pretend that life is okay when others are having a hard time coping with their sorrow, their loss and their harrowing experience. 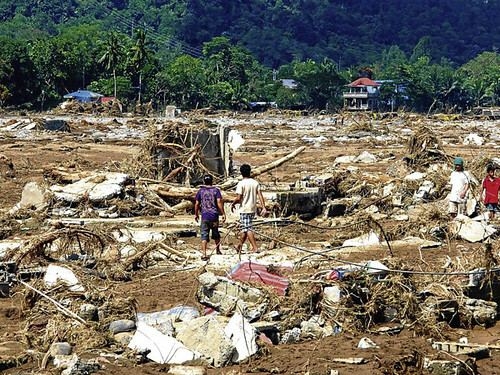 The calamity brought about by Typhoon Sendong that hit the Northern Mindanao death toll is said to have reached 1,000 and probably will still rise as many bodies are found and yet many more are missing. Dead bodies are dumped in landfill because the funeral parlors have too many corpses already. As we prepare to celebrate Christmas, let us not forget our unfortunate brothers who terribly need our help. It will take some time to clean up the debris caused by the flash floods and put everything into order; they might need trash pump for that. For now, coffins are badly needed for the rotting corpses. For those who lost their loved ones, the healing process might take long. For some, the scars might never heal at all. 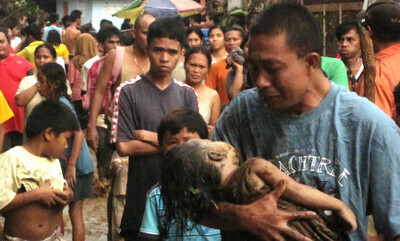 Let’s pray for the victims that they might find comfort and be able to surpass their tragic ordeal. Pictures taken from the internet. If you’re the owner, please message me so I can give proper credit. Thanks! 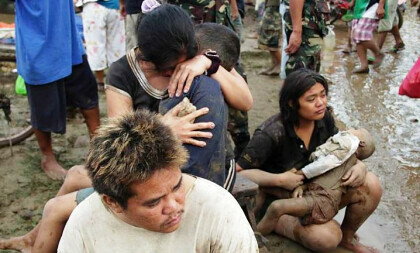 Aftermath of Typhoon Sendong. Photo taken from inquirer.net. A tragic news from home greeted me when I opened the internet on Sunday morning. 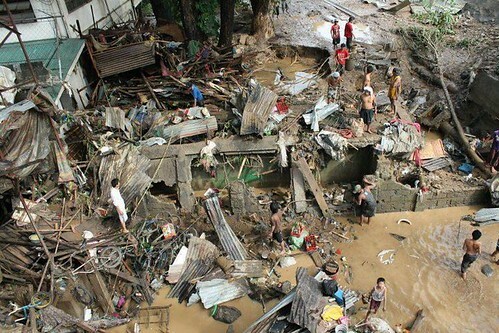 Iligan and Cagayan de Oro were hit by Typhoon Sendong last weekend leaving hundreds of people dead and missing and without homes as flash floods wreaked havoc on lives and properties. Most of my mom’s siblings live in these two places. I’ve got many cousins and relatives there, fortunately they are safe though for some, their homes were badly battered by floods. It’s too sad to think that this had to happen a week before Christmas. or thru Iligan Bloggers Society – One for Iligan. Share your blessings and you will be blessed in return!